On 29 April 2016, we published a consultation report on Improving Administrative Redress in Jersey setting out interim proposals for modernising how grievances against public bodies in the island are handled. 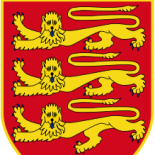 This covers internal complaints, tribunals, appeals and reviews to ministers, the operation of the States of Jersey Complaints Panel, the possibility of a public services ombudsman, administrative appeals to the Royal Court and judicial review. The 96-page report can be downloaded here. Alternatively, printed copies may be obtained free of charge from The States Assembly Information Centre (previously known as the ‘States Bookshop’) at Morier House, Hackett Place, St Helier, Jersey JE1 1DD. A brief summary of key points is set out below. As part of the consultation process, we invite anybody interested in the subject to attend an event on Tuesday 21 June 2016, 4.00-5.30 pm, at the Institute of Law, 1 Seale Street, St Helier JE2 3QG. Professor Andrew Le Sueur (a member of the Jersey Law Commission) will make a presentation of our interim proposals, followed by Q and A and discussion. The event will be chaired by Mr Clive Chaplin, chairman of the Commission. The Jersey Law Commission will be in “listening mode” at the seminar. Views expressed will help shape our thinking as we prepare a final report later this year for the Chief Minister setting out our firm proposals. We welcome written responses on any aspects of the consultation paper by 29 July 2016. We suggest that the Chief Minister’s Office should coordinate work across the Government of Jersey, Parishes, and other public bodies to improve the quality and consistency of internal complaints procedures (discussed in Part 1). We propose a major restructuring of tribunals in Jersey, merging most of the existing tribunals into a new judicial body to be called the Jersey Administrative Appeals Tribunal (JAAT). Most rights of appeal to Ministers and many rights of appeal that currently lie to the Royal Court should be transferred to JAAT. See Part 2. Ministers should not generally have responsibility for hearing appeals against decisions taken by other public bodies; we make interim recommendations about transferring review and appeal powers away from Ministers. See Part 3. Our interim view is that the States of Jersey Complaints Panel has outlived its usefulness and should be abolished. If the Panel is to be retained, it requires far reaching reforms to its structures and processes. See Part 4. We are inclined to favour the introduction of a public services ombudsman but we recognise that further detailed research work is required before a final assessment of the costs and benefits can be made. See Part 5. Where appeals to the Royal Court are retained, the time limits and grounds of appeal should be amended to remove anomalies. See Part 6. We suggest ways in which alternative dispute resolution (ADR) could be used for administrative grievances. See Part 7. This entry was posted on Jun 7, 2016 by jerseylawcommission.